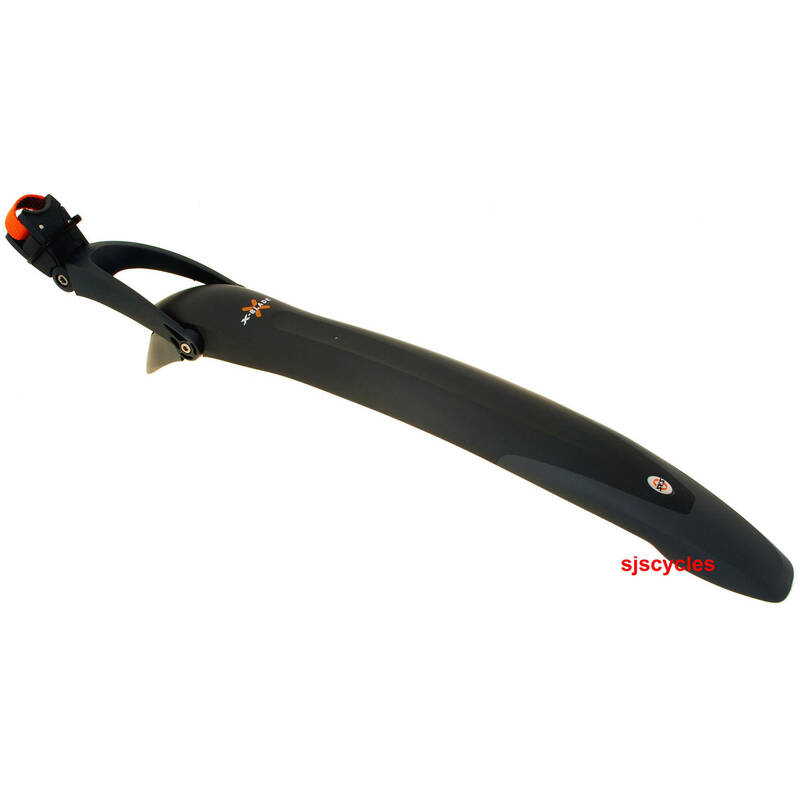 The most functional rear dirt board on the market, flexible, mud repellant, highly effective. 2 stable adjustment points for a perfect custom frame fitting, different profiles available for 26" & 700c. Great bit of kit, so easy to fit and adjust, and easy to swap between bikes if necessary. Far better than the crud guard equivalent. A great bit of kit, so easy to set up, fits securely and does the job well.